In order to support and encourage the roll out of the WHO Global Action Plan in the South East Asia region, IAPB organised a few key VISION 2020 Advocacy workshops in the region. These national level meetings saw participation from ministries of health and National VISION 2020 committees in five countries (Bangladesh, Bhutan, Indonesia, Nepal and Sri Lanka) in the South East Asia Region in 2014. The meetings identified key issues at the country level along with recommendations to address them. All the workshops ended with plans to integrate GAP in to national eye care plans. The reports from these meetings can be accessed below. 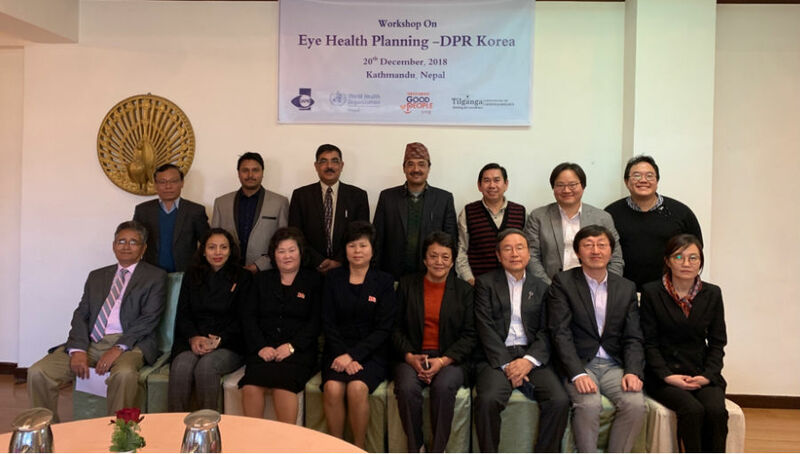 WHO SEARO in collaboration with IAPB SEA conducted a workshop for the South East Asia Region to operationalize the WHO resolution WHA 66.4, the Global Action Plan (2014 – 2019) Universal Eye Health over three days (18 to 20 November) in 2014. It saw participants from 10 out of 11 countries of the WHO SEA region, representatives from WHO Geneva, SEARO, IAPB and different INGOs working in the region attended the workshop. The workshop concluded with a number of recommendations for the member states, WHO and International partners. These recommendations were felt to be crucial for the operationalization of Global Action Plan in to country level action plans. These resolutions have been circulated by WHO SEARO to the WHO country offices and to MoH of the member countries. The workshop in Sri Lanka was organised on 15 and 16 October 2014 in Colombo. The Director General of Health Services, MoH, Sril Lanka and IAPB Regional Co-Chair Dr Palitha Mahipala inaugurated the workshop in the presence of IAPB SEA Regional Chair Dr Taraprasad Das and IAPB Regional Coordinator, Mr Yuddha Sapkota. Dr Mahipala presented a summary of eye care service of Sri Lanka and future strategies adopted by the Sri Lanka to achieve the goal and objectives of VISION 2020. 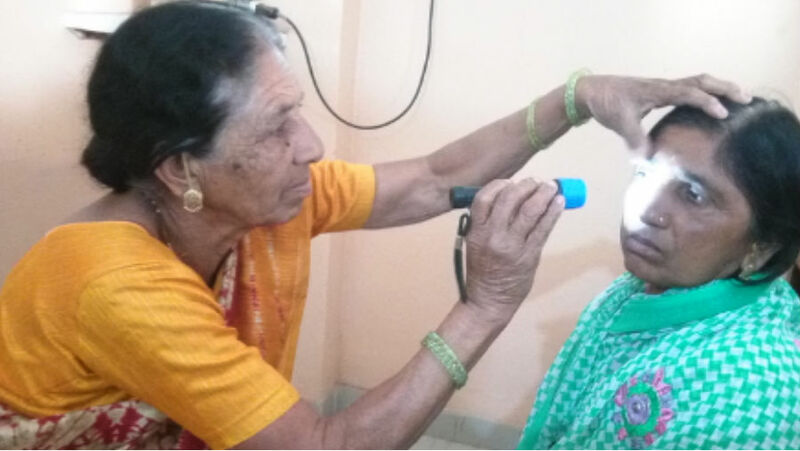 Participants included national and district focal persons of different subspecialties of eye care such as primary eye care, low vision, glaucoma, diabetic retinopathy and cataract. Others like the Director of National Eye Hospital, regional health directors, president of college of ophthalmology and representatives from VISION 2020 Sri Lanka also participated. The IAPB regional team underscored the goal, objectives of IAPB and the WHO Global Action plan 2014 – 2019 Universal Access to Eye Health. Sri Lanka has just completed their National Blindness Survey in 2014 and results are awaited. The workshop discussed in depth the existing eye care service situation of the country and identified issues which need to be addressed in the coming days. The workshop listed recommendations and a suggested action plan focusing on human resource development, expansion of the service in terms of accessibility, outputs and outcome in eye health service of the country. The workshop also recommended having follow-up workshop in the year 2015. The Bhutan workshop was conducted on 24 October, 2014. The Director General, Department of Medical Services, Mr. Jamtsho chaired the workshop and Dr Ngawang Tenzin, the National Focal Person of Eye Health Services of Bhutan, presented ongoing strategies of eye health services in Bhutan. Mr Yuddha Sapkota, IAPB SEA Regional Coordinator presented the Goal, Objective and monitoring Indicators of the WHO Global Action Plan 2014 – 2019. The workshop was participated by the Ministry of Health and all district eye health focal persons. The workshop came up with the suggestion to revisit the ongoing eye health plan in line with the WHO Global Action Plan, conduct an epidemiologically valid blindness survey in 2015 and strategies to address the pressing issues of inadequate human resource and financial resources for the eye health service of the country. The workshop also realised that the government budget allocation was not adequate to achieve universal eye health and there are very few INGOs supporting the eye care service of Bhutan. The workshop in Bangladesh was conducted in October 20 and 21, 2014 in collaboration with INGO Forum, National Eye Care and IAPB SEA. The workshop was inaugurated by Prof Deen Mohd. Noorul Huq the Director General of Health Services, MoH, Bangladesh and participated by major stakeholders of eye care services in Bangladesh; WHO, INGOs, Ministry of Health, professional bodies and other stakeholders in eye care. The IAPB SEA Co-Chair Dr Abu Raihan presented the detail of WHO Global Action Plan, Goal, objectives activities and the monitoring indicators. Issues identified for low output in eye care service focused mainly on the low cataract surgical rate and the role of mid-level human resources was considered a prominent issue in the eye care service of Bangladesh. The preliminary results of recently concluded blindness survey carried out by WHO and NIO were also presented at the workshop. The workshop also highlighted the emerging problem of Diabetes and Diabetic Retinopathy in the country. The workshop unanimously agreed to adopt the GAP recommendations in to their national eye health plan. The workshop also came up with a ‘Matrix of actions’ for the Bangladesh. The Indonesia workshop was conducted in 30 October, 2014 in Jogjakarta, Indonesia. Representatives were from the government, NGOs, professional associations, eye care institutions and corporations. The workshop agreed to adopt the GAP objectives and activities in national action plan of eye care service of the country. Major issues identified in the existing eye care service of Indonesia are: inadequate government commitment for eye health, number and distribution of ophthalmologists, and the eye care service coverage. There is also lack of fresh data on magnitude and cause of blindness in the country. The workshop made appropriate recommendations to the Government to address these pressing issues and decided to have follow-up meeting in the 2015. The Nepal workshop was conducted between December 12 and 13, 2015. The workshop was inaugurated by Secretary of MoH and Chairman of the Apex Body for Eye Health (ABEH) within the ministry of health, Mr. Shanta Bahadur Shrestha and attended by the high level dignitaries from MoH, Nepal Netra Jyoti Sangh, Tilganga Institute of Ophthalmology, eye care service providers, policy makers of the country and representatives of International partners working in Nepal. 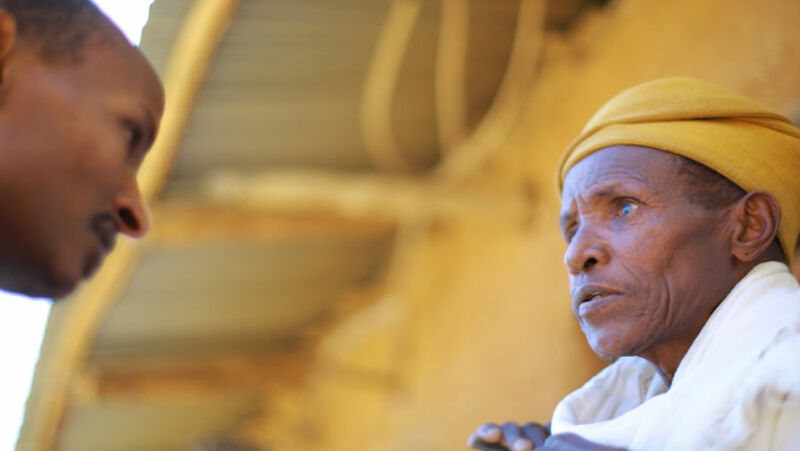 The workshop noted that the last three decades of eye service has been satisfactory and on track. However it was noted that eye care service was mainly driven by NGO sector and government involvement in eye health needs to be increased. It was felt that the Apex Body needs to be further strengthened. 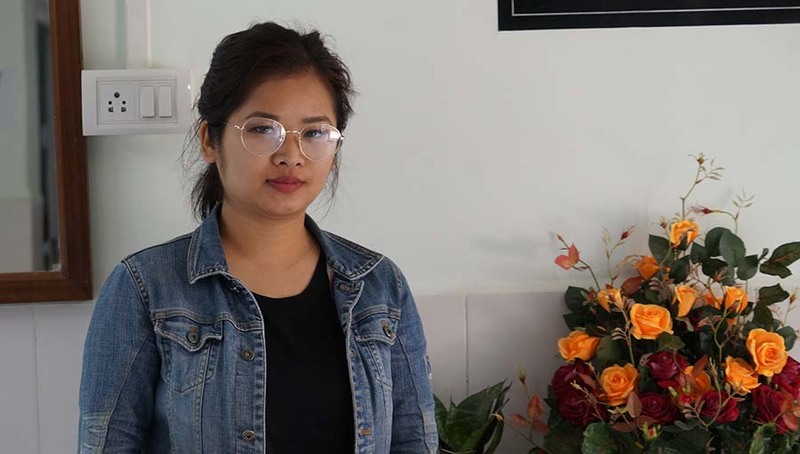 The integration and comprehensiveness of the eye care service, human resource numbers and distribution were identified as issues for eye programme of Nepal. It has also been suggested that there should be a National Eye Health Policy as part of National Health Policy in the country. The blindness data obtained from the consolidation of RAAB surveys conducted earlier are five years or older and it has been realised that new surveys should be planned in 2015 – 2017. The workshop ended with a list of recommendations and finalized a ‘cataract surgery protocol’ to be adopted by all eye hospitals in Nepal.